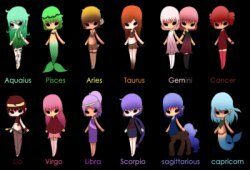 What do people know about Astrology? Astrology is the relationship between the signs and the planets (including the Sun and Moon). Their connections and interactions are mathematical, and astrology studies these mathematical cycles. Each sign stands for a different aspect of the whole human. For example, Aries starts the cycle while Pisces finishes it, representing the unconscious mass of all mankind. Every other sign conveys the energy of a different phase in human evolution within the universe. Astrology should be considered as a philosophy that helps to explain life, rather than a kind of mysticism that can give predictions. Instead of discussing what the planets may to us, we should explain ourselves due to planetary indications. Each of the 12 signs is an exclusive combination of one of the four Elements (Air, Earth, Fire, Water) and one of the three Qualities (Fixed, Cardinal, Mutable). The Elements and Qualities indicate that we are parts of the universe. There is an association between all matter and all living things on this planet. Astrology bonds humans together: We are all part of the same cycles, and we all encounter with the same planetary interactions. 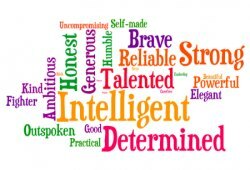 In spite of all these connections, Astrology does not predict everything about you or tie you to being a certain way. Astrology only interprets the energy in your life as well as the potential challenges and possibilities. You can develop thanks to your chart. What you can learn from astrology can help you make a choice between your will and destiny. Furthermore, astrology does not need to affect or change religious beliefs of people. In fact, most religions contain some idea that link the way you run your life to where you end up in the afterlife. Astrology works with the same sort of idea in the concept of karma: What you do in this lifetime decides what happen to you in your next lifetime. 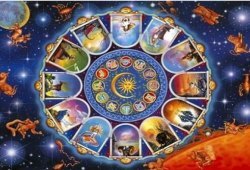 Astrology includes many different categories. Weather astrology is popular in some areas. Medical and stock market astrology are often applied to health or financial reasons. 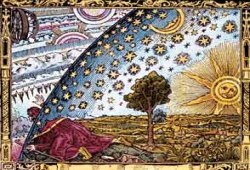 Terrestrial Astrology is the study of politics and world events. Electional astrology helps people find beneficial times or days to get married, begin a new job, start a business, and so on. Horary astrology is predictive questions based on the specific moment they arise. However, the most popular type of astrology is Natal, which analyzes humans based upon their time and place of birth. Technology is developing forward, society’s values and attitudes are changing and perhaps will slope more toward the radical. Astrology will be more accepted, even as a part of mainstream thought. Many researchers are hoping to move the perception of astrology from an entertainment form to a more valuable tool for people to use, both for themselves and others.